What a difference a little make sunshine makes, I feel like a different person today! 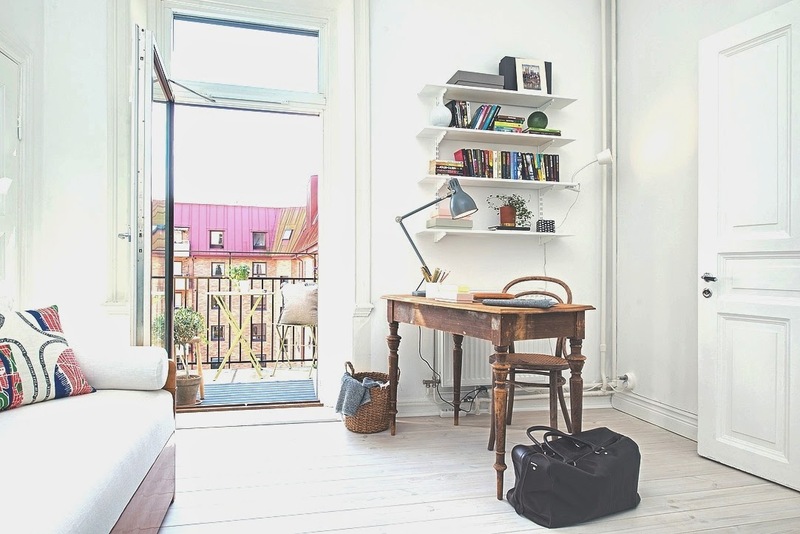 I just spotted this Swedish apartment currently for sale and thought I must nip in and share it with you. It's very classic Swedish style (in my eyes anyway, would you agree?) with it's white and grey colour theme and lovely designer pieces. I could waltz around here humming to myself today, how about you?! 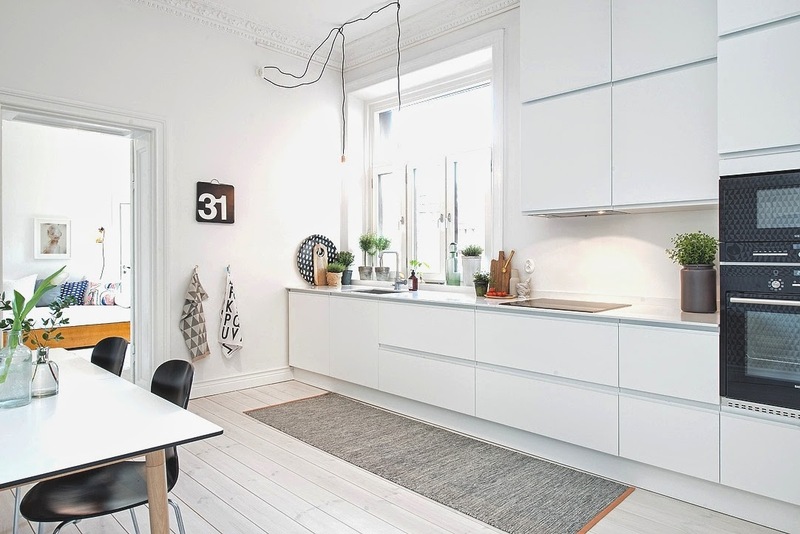 I spy: Kitchen units from Colombini Casa and the Björk rug by Design House Stockholm. Flos 2097 suspension light in chrome in the sitting room, Asplund Snow chest of drawers, Birds by Architectmade and linen bedding in the bedroom. Thonet 214 style chair in the home office. And an abundance of very cool art photography. What do you like the most about this apartment? 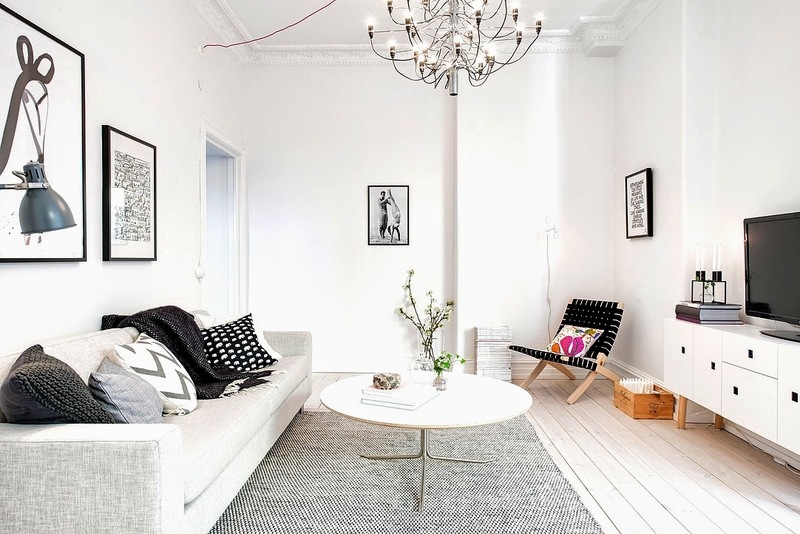 For more white and grey Swedish apartment inspiration it's definitely worth checking out this Stockholm space and this beautiful Malmö apartment (one of my favourites). Are you a fan of grey and white?